You might have noticed I have been a little quiet here lately - mostly because I have been busy behind the scenes transforming Big Little into Twig + Tale. Yes, we have a new name! 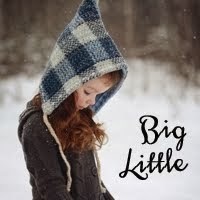 No need to worry though - everything you know and love about Big Little - is at the very heart of Twig + Tale. 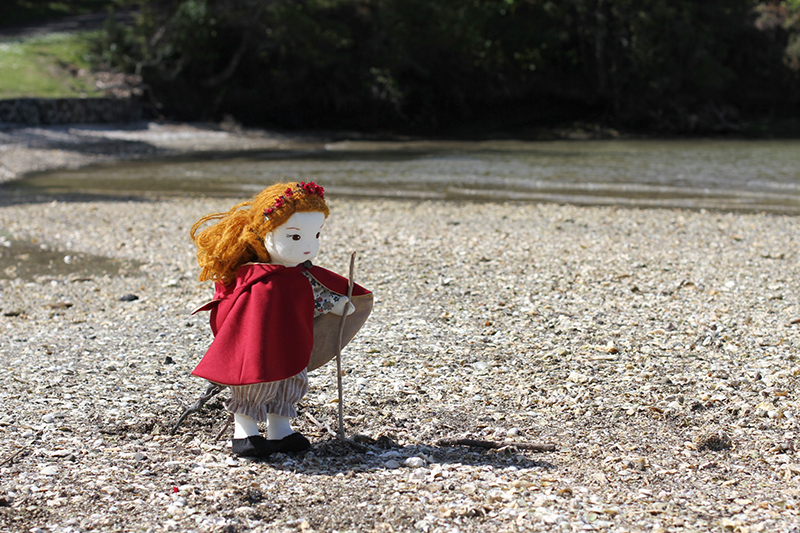 Twig & Tale is for everyone who shares a love of creativity and an adventurous spirit—beginner sewers especially! 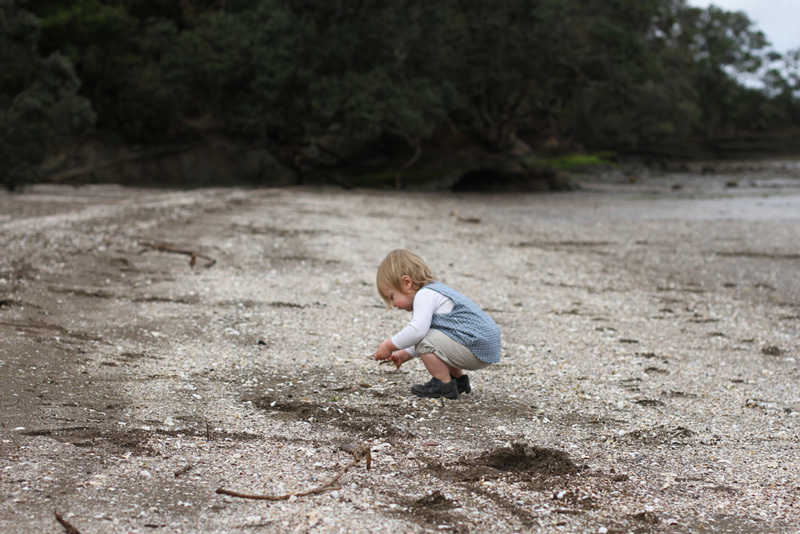 It's a celebration of the innocence of childhood and the wonder of nature. It's about comfy clothes and warm things like hugs and capes and coats. 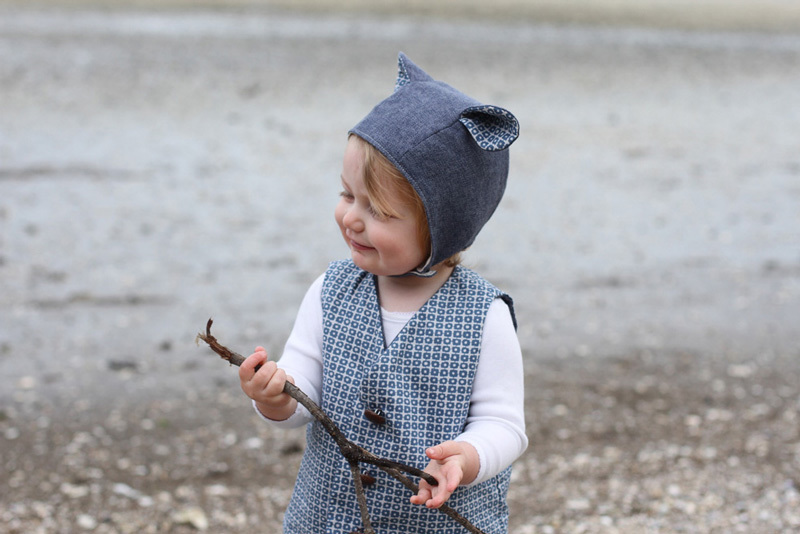 It's about handmade, love, and imaginary play—featuring classic, simple patterns that inspire us all to tell a story. Our sewing patterns embrace simple, step-by-step construction and the timeless charm of natural materials. 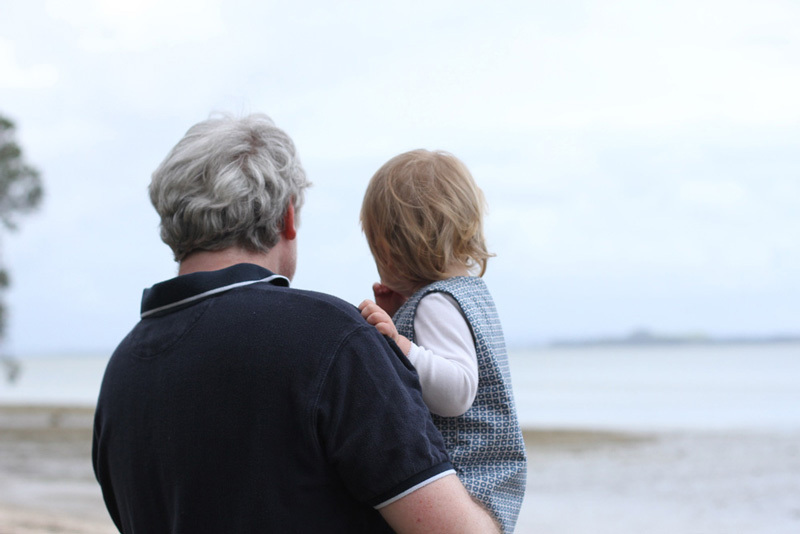 Often inspired by our little family adventures at the beach at the bottom of our garden. Tree Climber pants and a Pathfinder Vest are pretty much the staple attire of our family adventures of late. 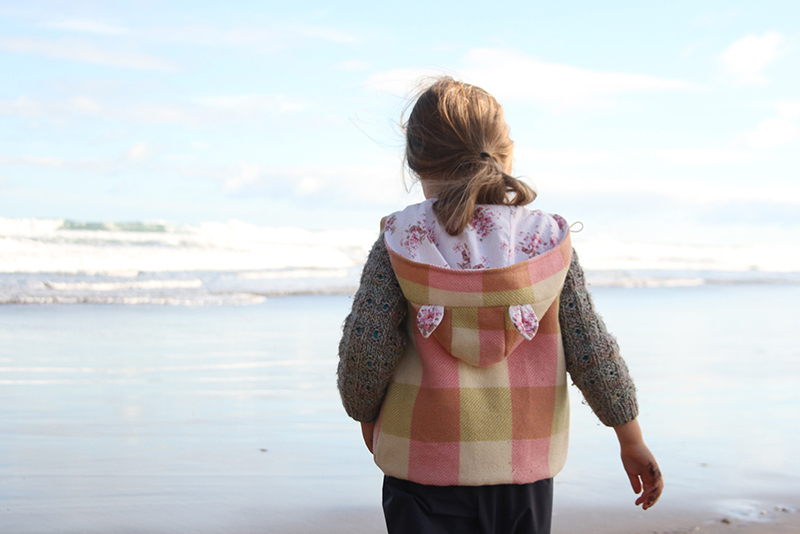 Often our vests are made from recycled wool blankets for extra warmth in winter, but now that Spring has arrived it is time for a (little) change! 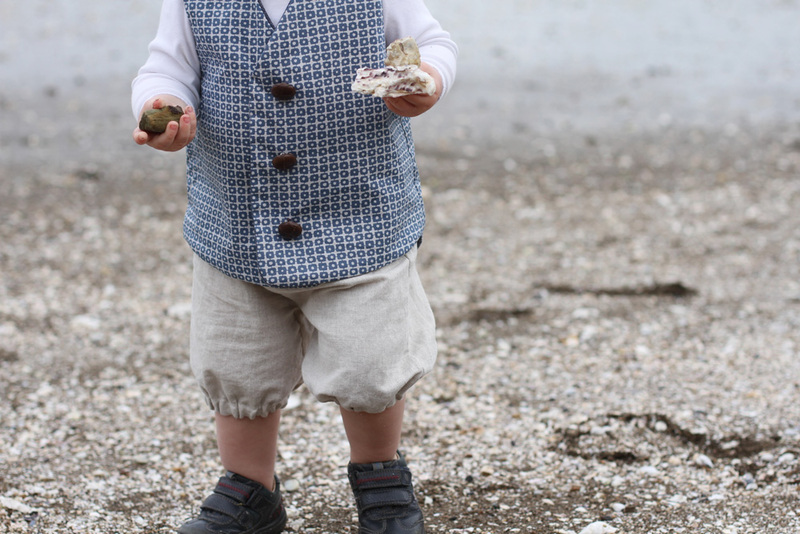 Still the classic Tree Climber Pants and Pathfinder Vest - but this time in linen and cotton. Our wee boy's vest is made in gorgeous Panda Patches from Art Gallery Fabrics who sponsored this Welcome to Twig + Tale Blog Tour. 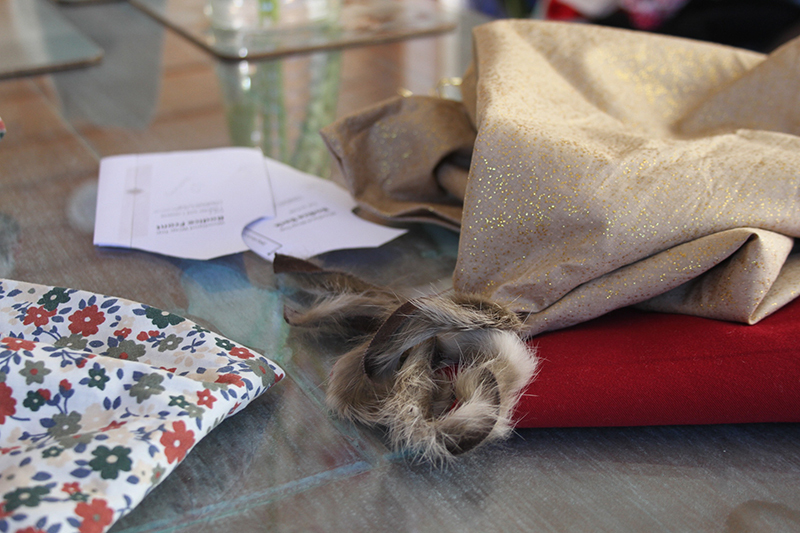 Art Gallery have such lovely quality fabrics, I highly recommended them. 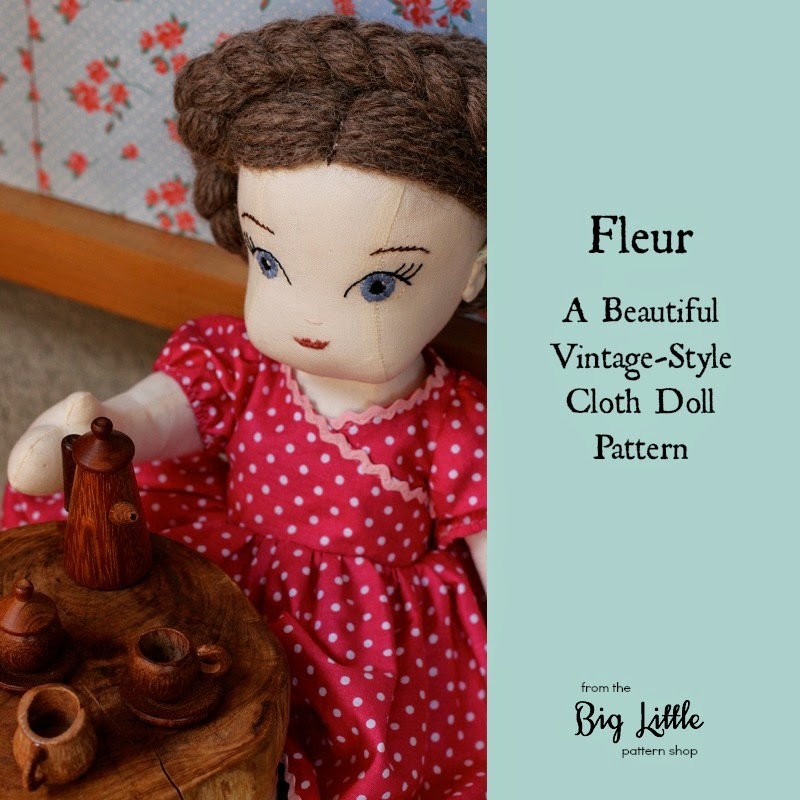 Most of you know, I love using recycled finds in my sewing, and when I do purchase fabric - I love to go for a quality fabric with a delightful and unique print and Art Gallery Fabrics doesn't disappoint. There is some absolutely divine fabric from Art Gallery in my studio at the moment, ready to make something special for our little girl. I'll be sure to share that creation with you soon! 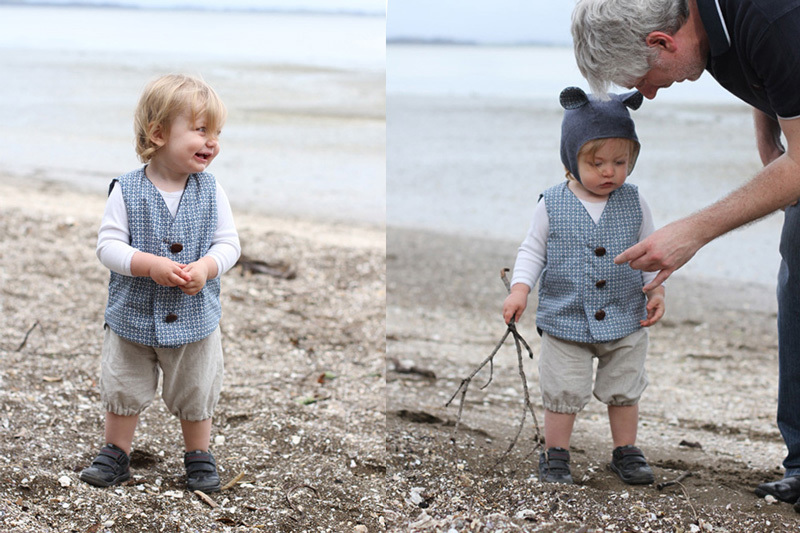 This little vest is completely reversible with Panda Patches on one side with the reverse side in a very fine wool, from a old pair of suit trousers. Lightweight, with just enough warmth for Spring. I just love this combo, rugged enough for a spot of beach combing yet fancy enough to wear to a cafe too. The traditional leather buttons are off an old coat I rescued some time ago. ... and where would we be without the quick-sew Tree Climber pants in our life! These ones whipped up in about 15 minutes (after cutting out) and are made from beautifully soft drapey linen. I love how linen is supposed to look wrinkled. Wrinkled is so lovely in my book. 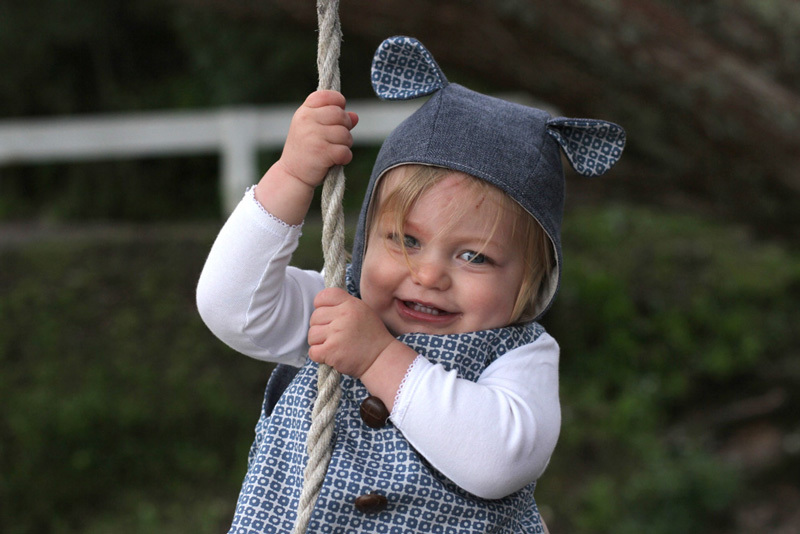 Hehe, our little girl calls wrinkles "crankles" which is pretty cute :)Tree Climbers are my go-to adventuring pants for the children - with a variety of lengths, with or without elastic - they are so versatile. 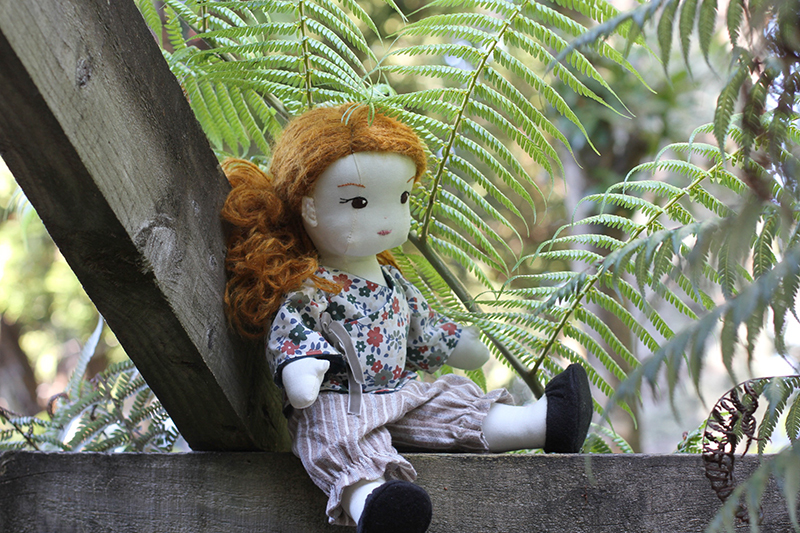 The Tree Climbers pattern is undergoing an update into the new Twig + Tale format and will be back in the shop very soon. 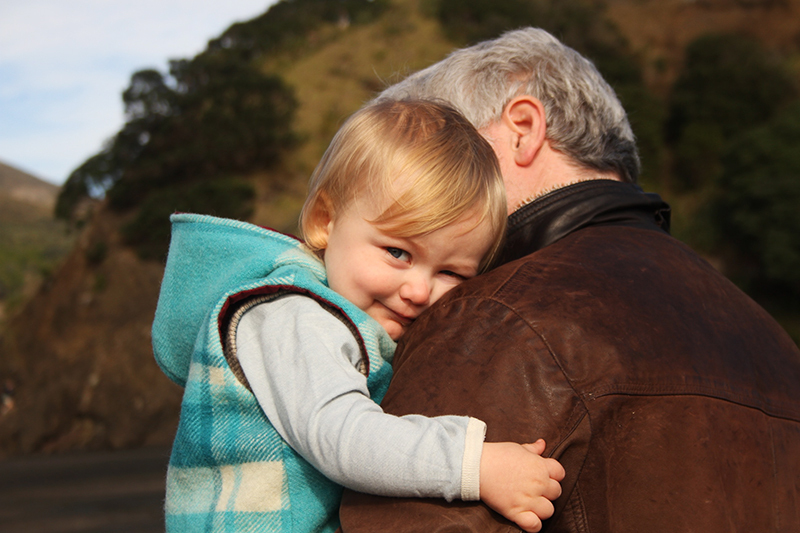 At the end of a day's adventuring, there is no place quite like Daddy's arms. 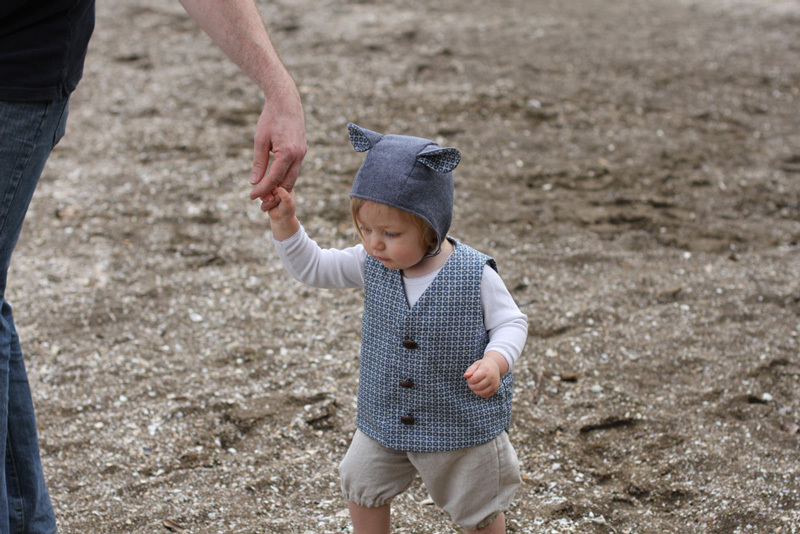 Gosh, I adore making handmade clothes for my children. 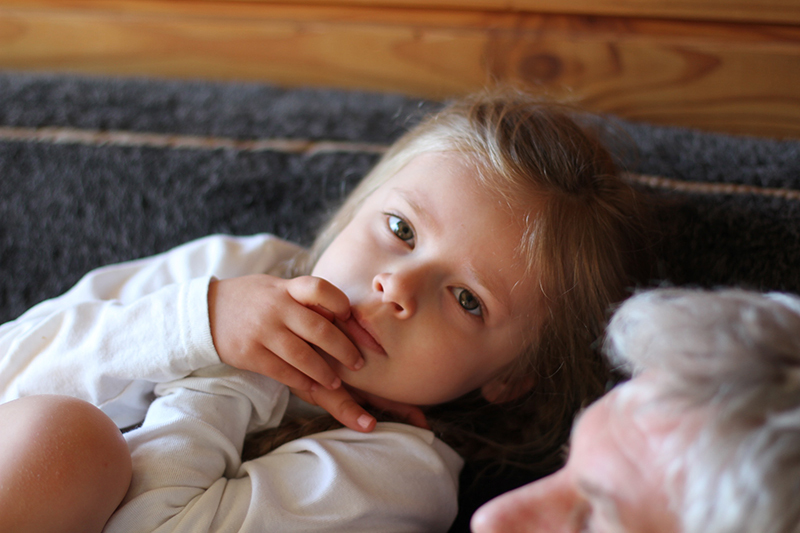 I can't explain it, but it just makes my soul feel good knowing they have mama-love wrapped around them. 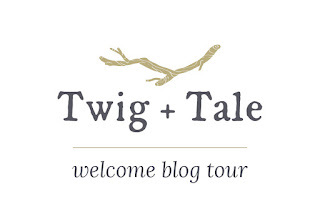 I'd love to introduce you to a bunch of lovely ladies who are sharing their love of Twig + Tale patterns in our Welcome to Twig + Tale Blog Tour. I've so enjoyed seeing all the inspiring things they have been sewing up - and imagine you might too! 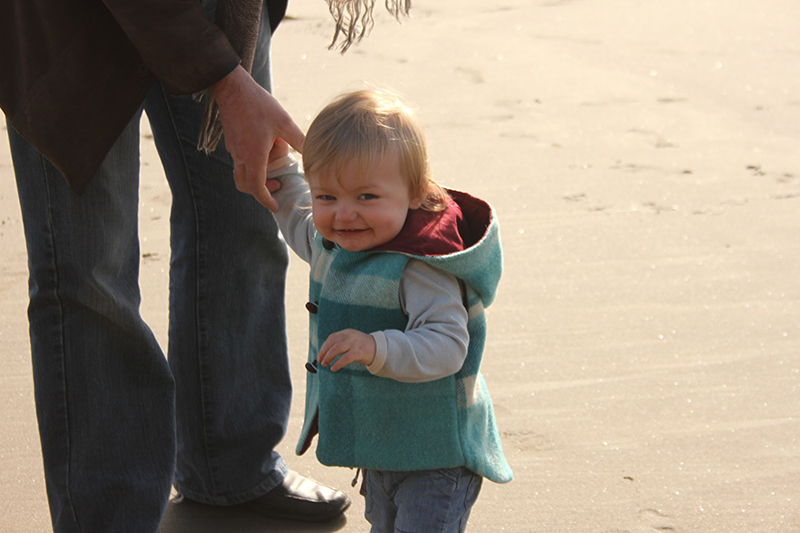 There is nothing like a brisk breeze and a winter beach walk to blow the cobwebs away and create happy tired little bodies. 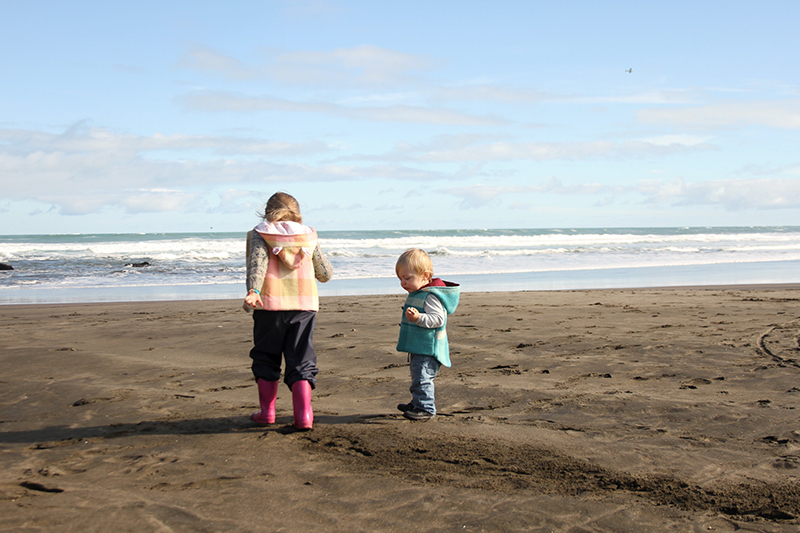 We have been making a point of bundling up the children and heading out for a family adventure each weekend during winter, as it is so easy to want to stay indoors by the fire. 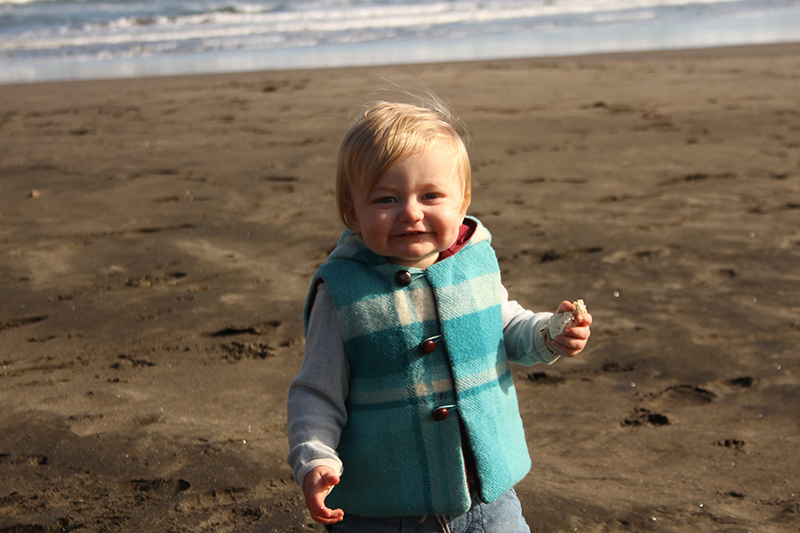 Our girl requested we visit a beach we have only been to once before, when our little boy was just a tiny baby. Yup, time flies! 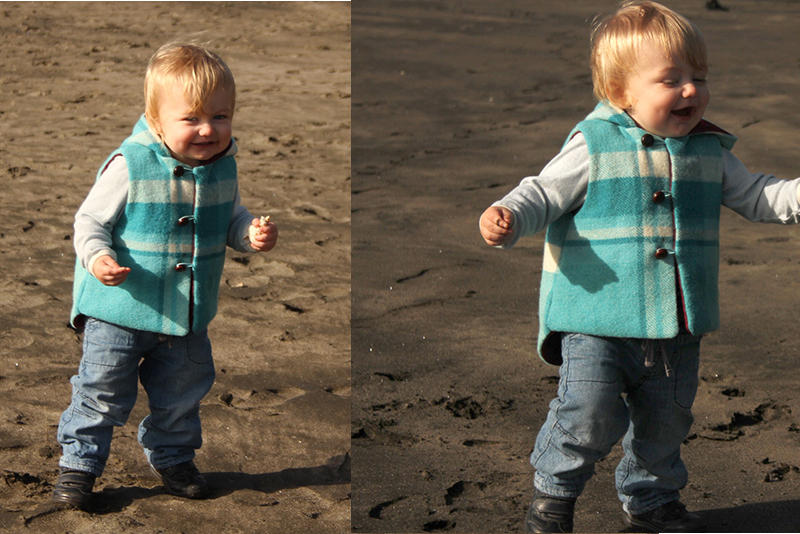 I was feeling really chuffed I could layer up the children in freshly sewn woollen vests before heading out. Designing and road-testing the new Pathfinder vest at this time of the year has been really great timing in terms of bulking up their winter closet. 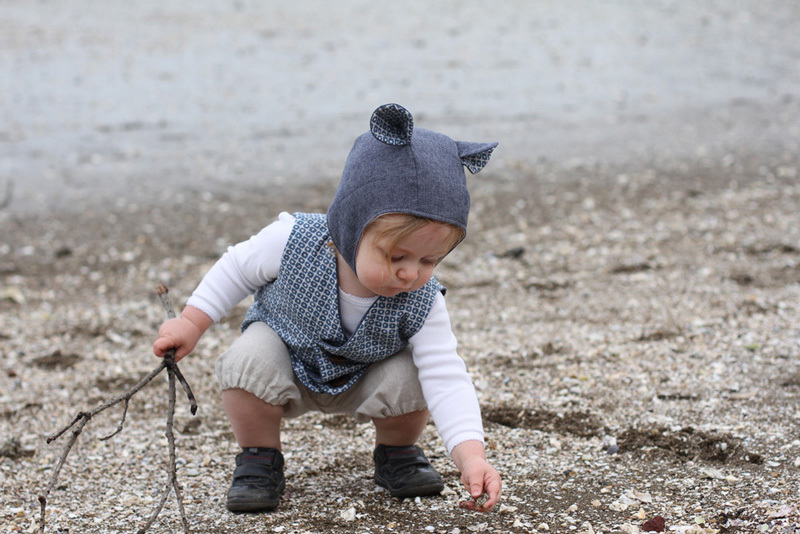 I added the curved dropped back to help keep his little lower back covered up when he squats down to explore "things", and a classic round hood too. I designed the new Pathfinder Vest so it was compatible with the Wild Things Coat pattern, so you can mix and match the hoods and create all 14 animals as vests too. I wonder what animal she might decide to be next week? This Kitty Cat one I sewed up in a nap time, so making another one isn't out of the question at all - in fact I really enjoyed it so much I might make another just because! 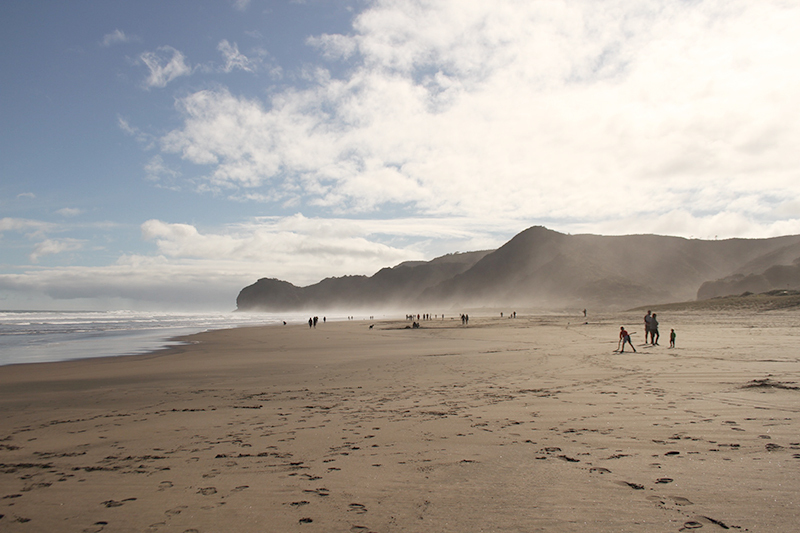 With the haze and low winter sun, the beach felt rather mystical and lovely - we must return here again sooner rather than later. You can view the new Pathfinder Vest pattern in my shop using the button below. Those of you who have been following Big Little for awhile, know that my little girl is rather fond of clothes with sparkles. 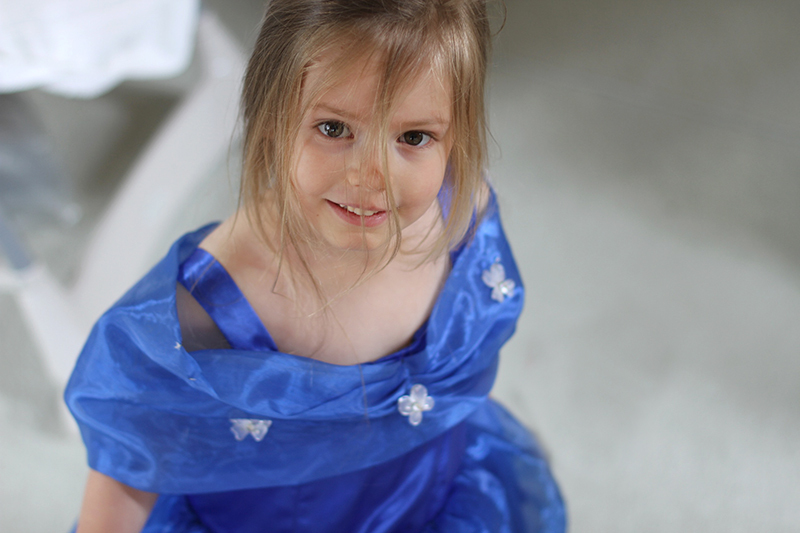 "Sparkly" dresses and skirts, or those with suitably long, flowing elegant drape to them which trail dramatically in her wake, or those involving tulle. What she is not fond of is anything that covers over her sparkles! 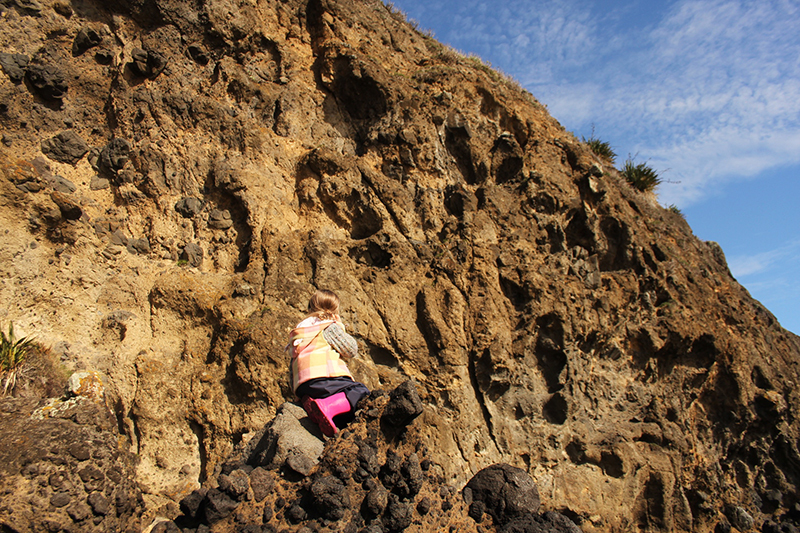 Needless to say, this makes dressing for Kindy, particularly in winter, a real challenge. Off to the studio to choose a blanket! Unbelievably we found (and made a joint decision on) the perfect one - rainbow colours, but in muted tones and kind of dark-ish overall so won't show the dirt. Paired with a pretty, floral, vintage sheet with pansies on it, we had a winner! Phew - now all I had to do was design it! 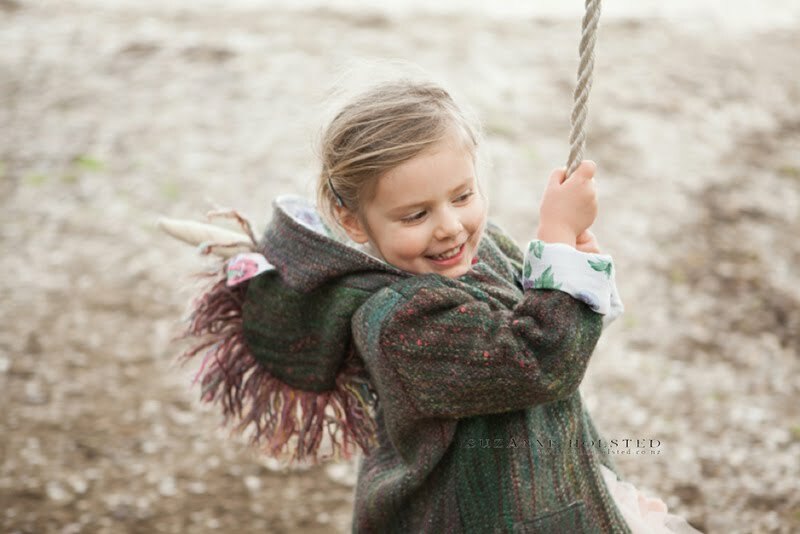 So long story short, her new unicorn "Kindy Coat" was born. 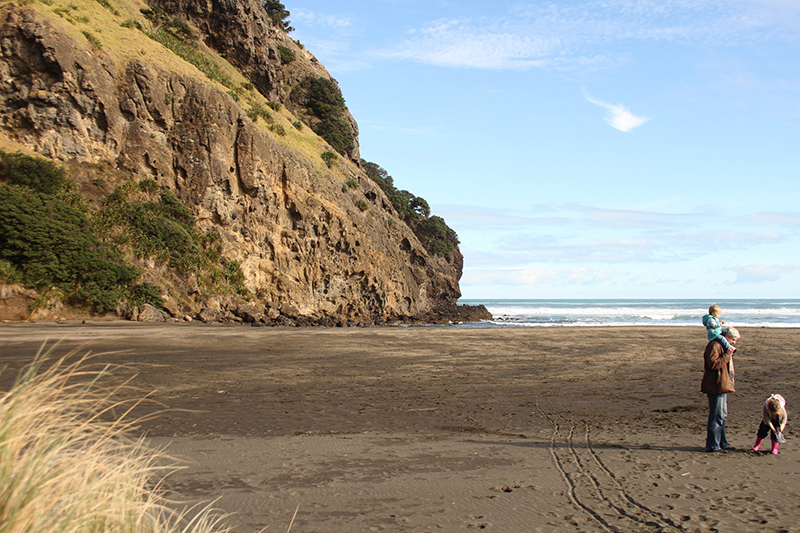 Of course we had to go galloping along the beach, because that is where unicorns roam don't you know? 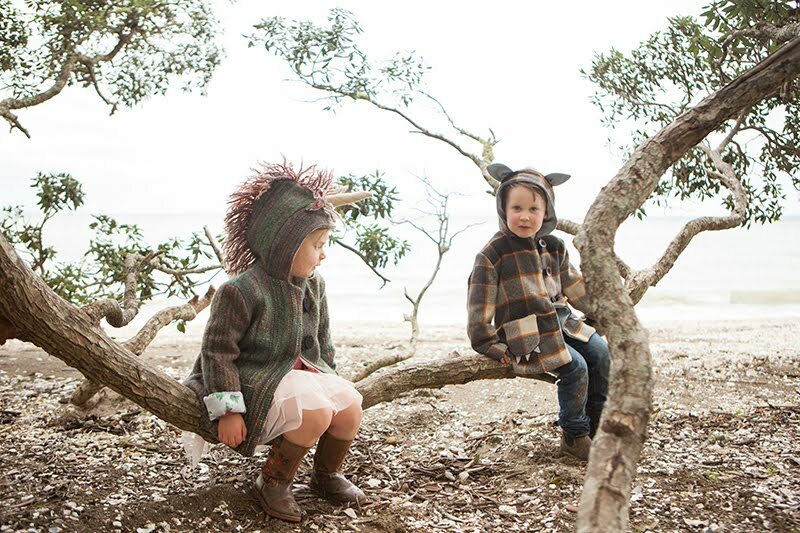 Then of course her little friend needed an animal coat too, so we made him a "Max" coat from Where the Wild Things Are. 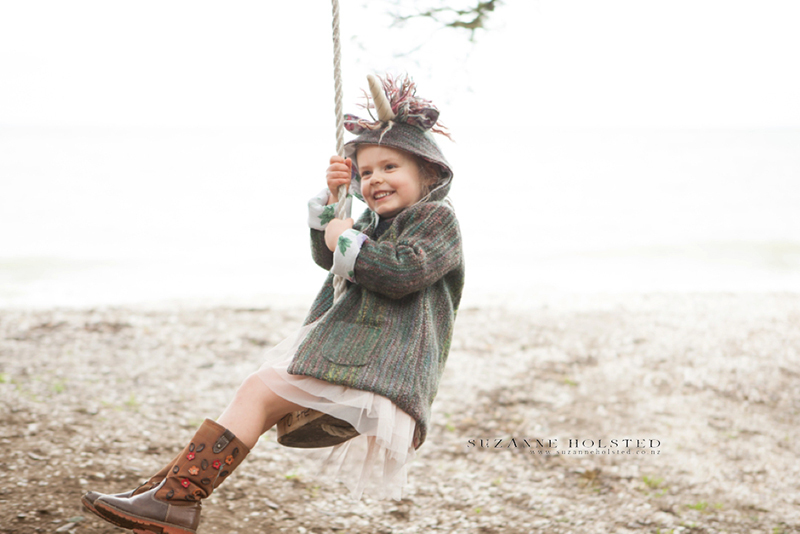 Too cute and so much fun! I hadn't actually even sewn the sleeves cuffs up when we took these pics, hence they are rolled rather generously, and there have been a few tweaks to the fit and construction since this original coat - however, the coat is designed to be a roomy fit, with roll back cuffs and a long-line style, which *hopefully* will give two years of wear as the sleeves can be rolled down and the coat worn at a regular hip length the following year. 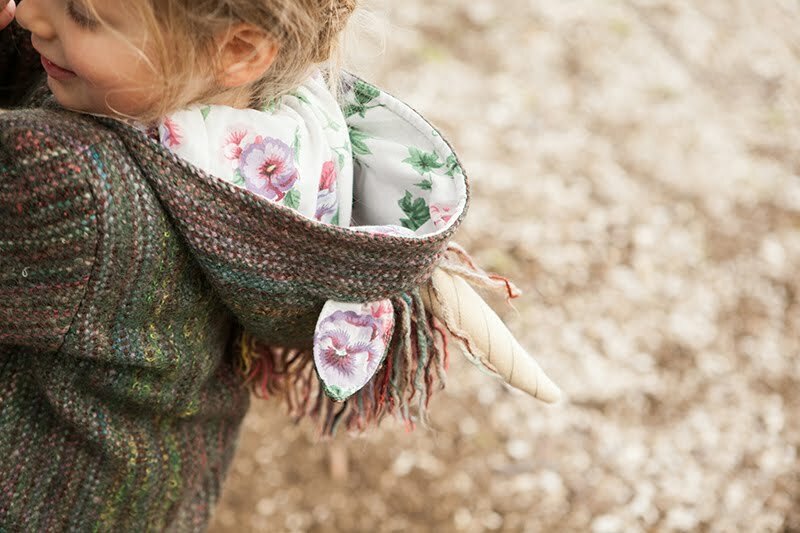 The pattern for this unicorn coat has just be released in my shop along with another thirteen animals - yes, fourteen different animals all together in one pattern! 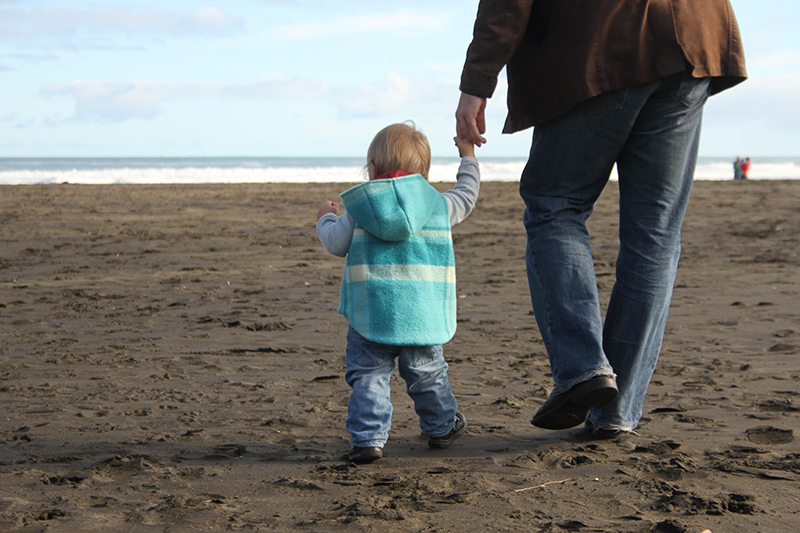 You could potentially make a different animal coat every year for 14 years as the sizes go from toddler to teen. 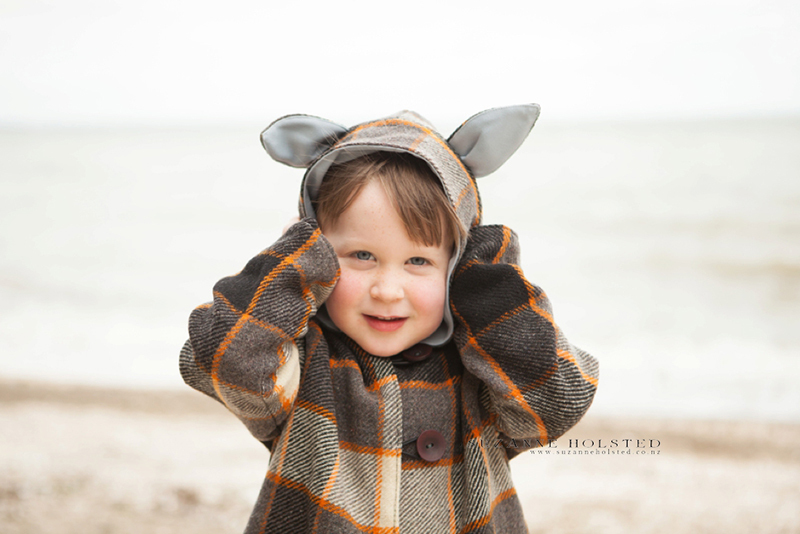 If you would like to make your little one a Wild Things Coat you will find the pattern here. 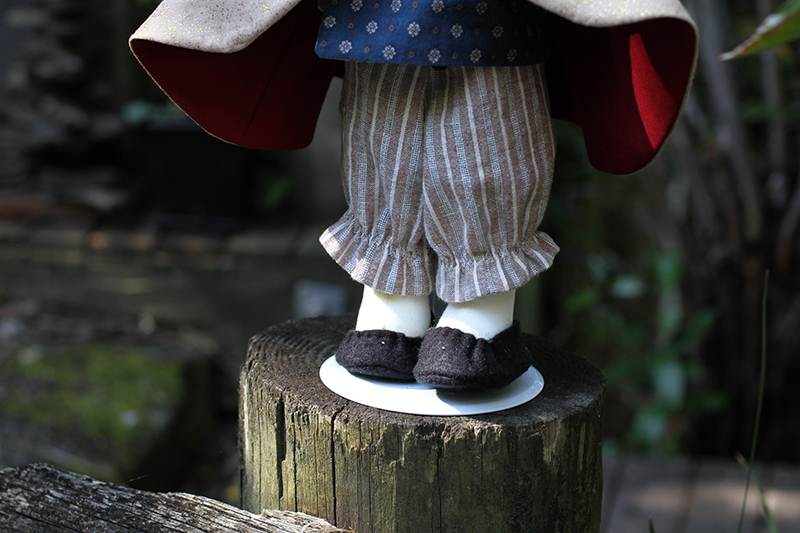 Or if you already have the Pixie or Pea coat, you can simply upgrade it here. 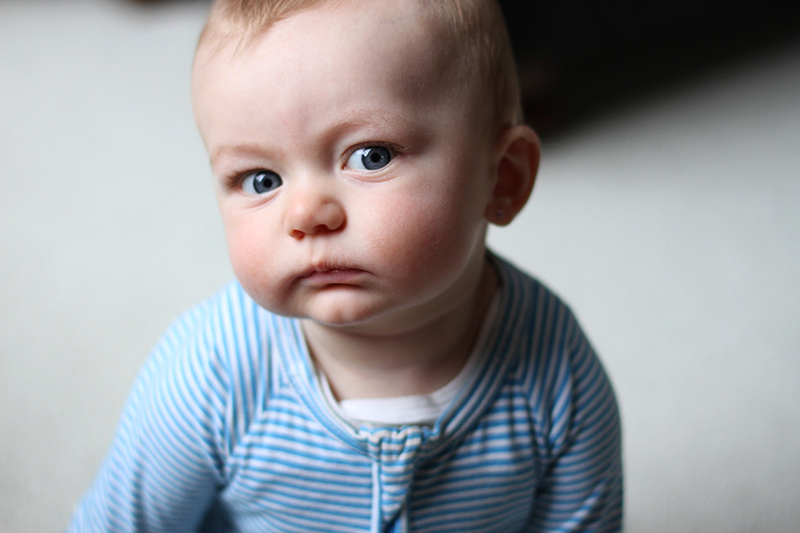 Those baby blues are still going strong. 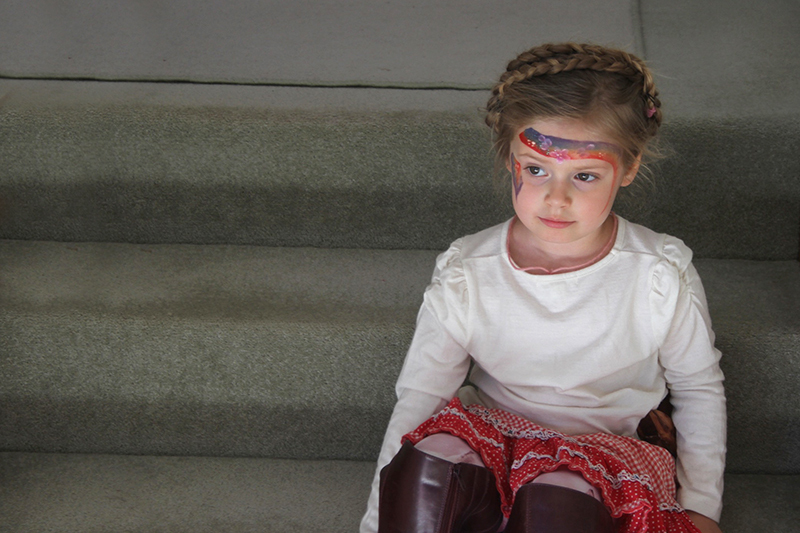 After a big day at the Steiner school fair. 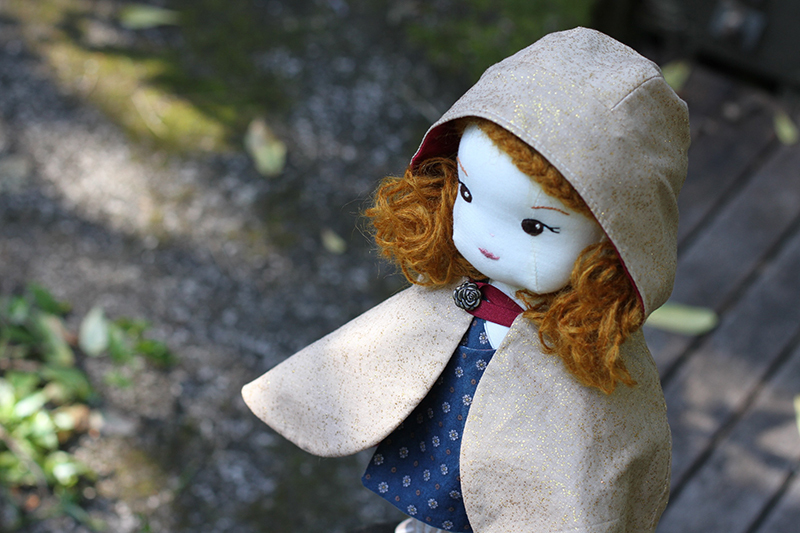 So, Briar sports a reversible woodland wrap top which ties with ribbons at the side. Woodsy on one side and a pretty floral on the other! A pair of classic tree climbing pants (a mini-me version of the children's ones!) which of course can be made extra pretty with lace or trim. 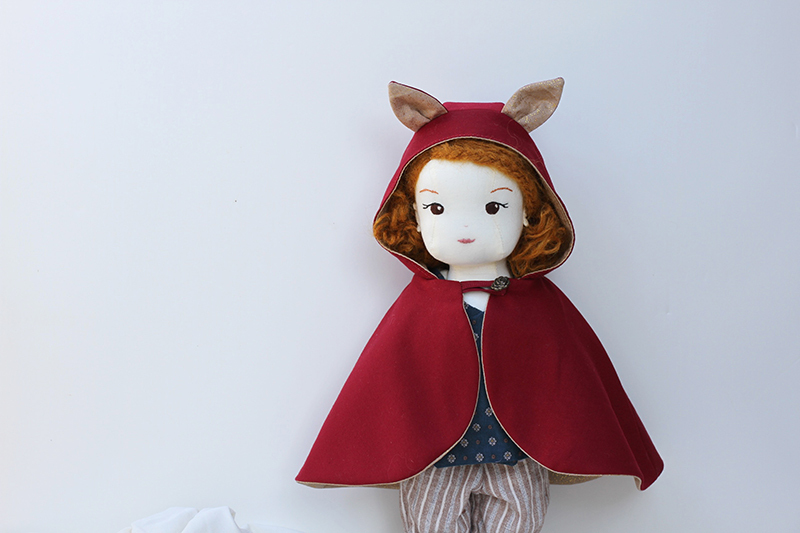 But her favourite garment of all is her new "Wild Things" cape. Briar loves her animal friends so much this seemed a fitting tribute - and it is reversible too. Briar's is a sparkly gold on the reverse side, you know, because why not?! 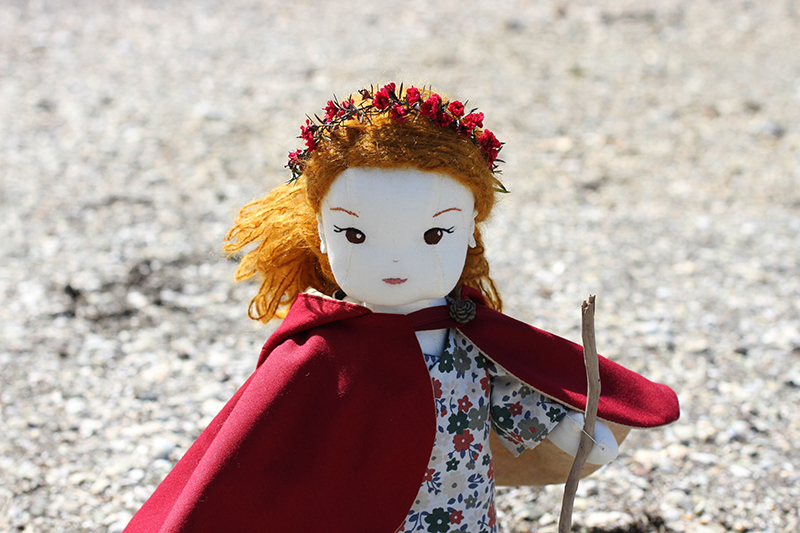 So much love has gone into Briar, over a long period of time, and I think I am finally ready for her to venture out into the world. 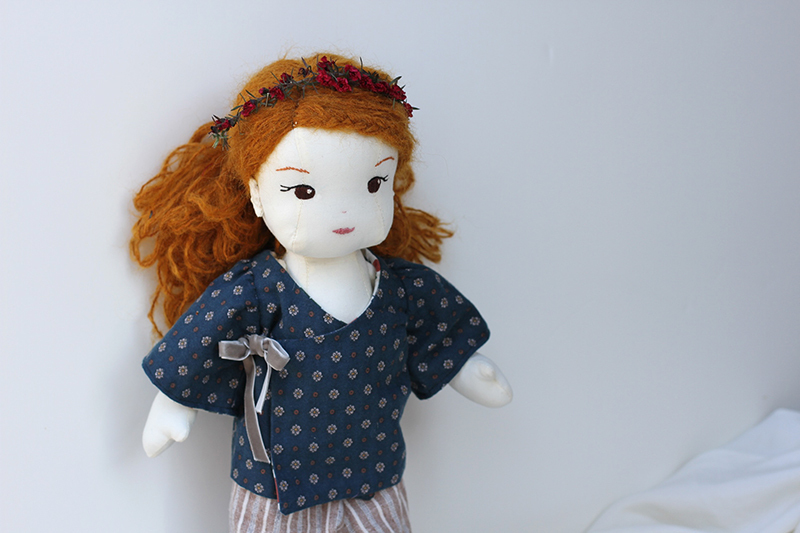 Although I'm reliably informed that both Briar and Fleur are likely to be requesting more clothes options soon! 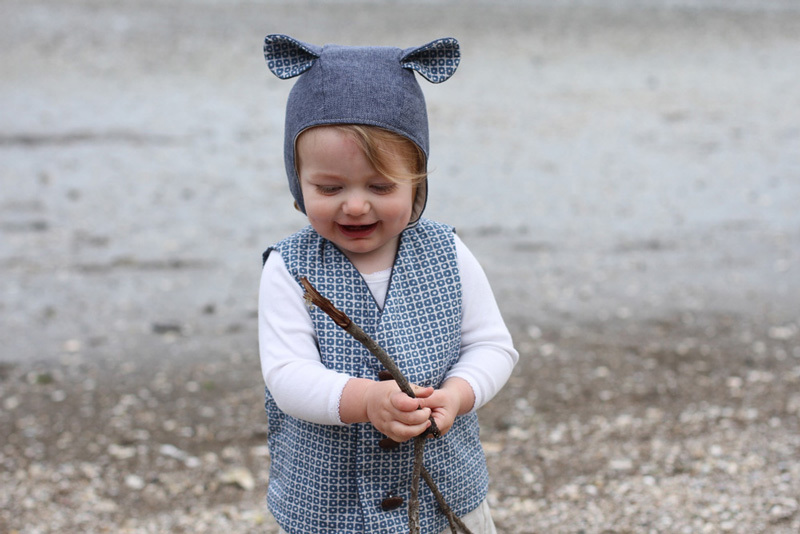 Briar and her entire clothing bundle is available as a pdf pattern in my shop - I can't wait to share both Briar, and some tips I have learned along the way with you. 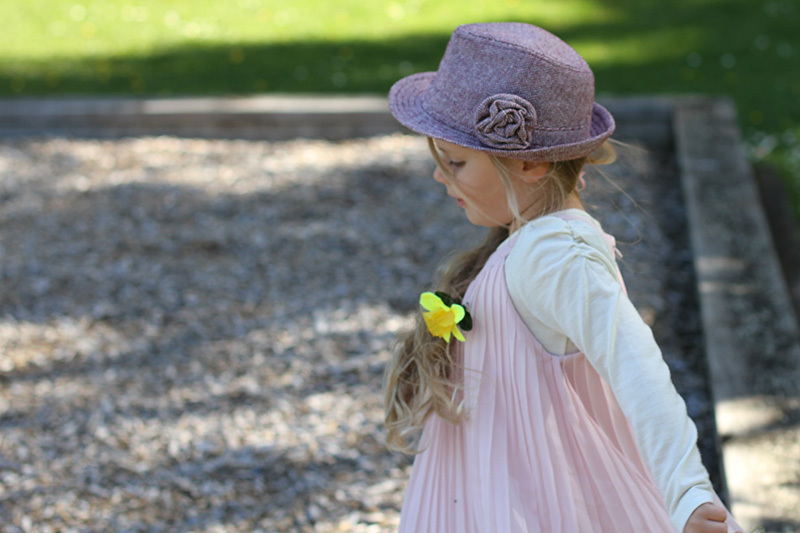 Twirling in the reserve in her favourite twirling dress. 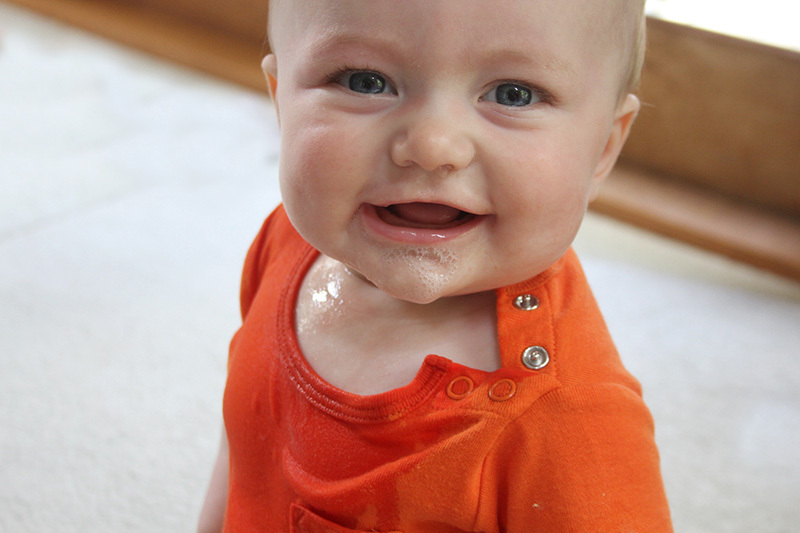 Our little girl has nicknamed him Slibby Slobbie. 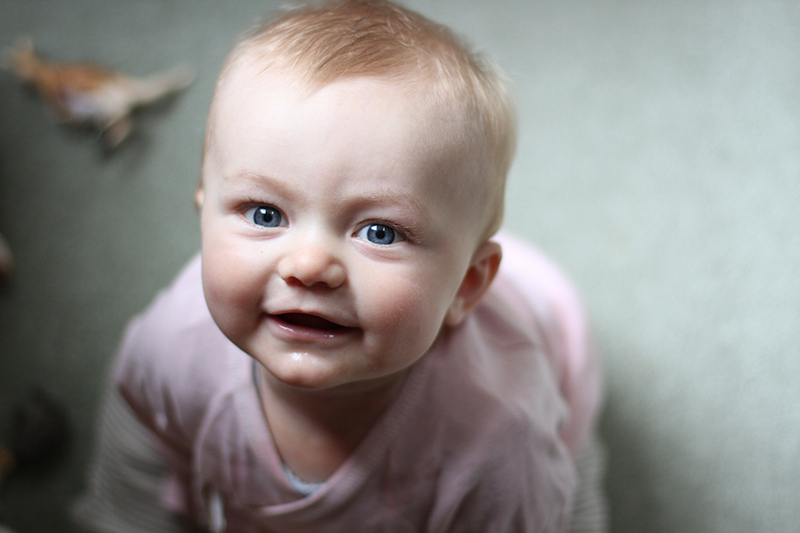 Surely there must be some teeth coming soon!